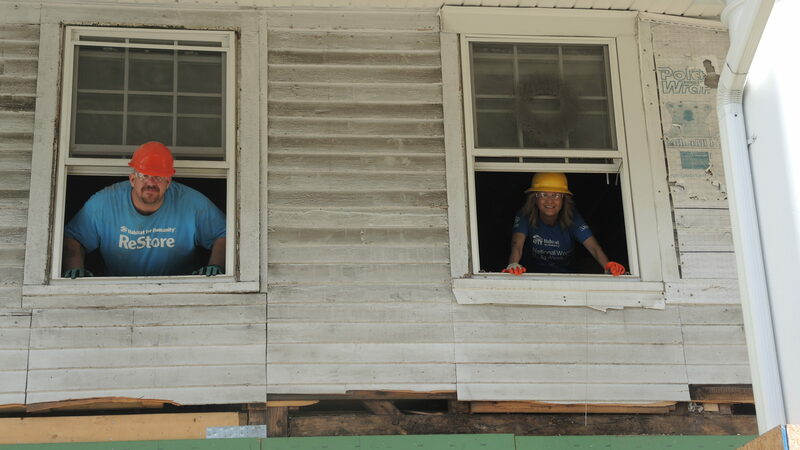 Register now for Women Build 2019! Women Build calls attention to the plight of single women who need affordable housing. Women Build is an empowering event for the participants who are building, and for the local single women who need affordable housing! 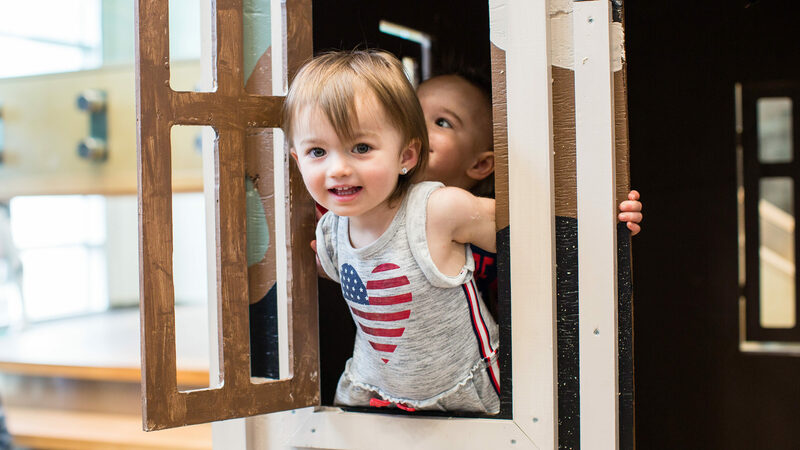 Learn more about our Operation Playhouse Builds, and Home Build Days. Learn more about our Home Repair program. Learn more about all the different ways you can support our mission. Learn more about our Homeownership program. 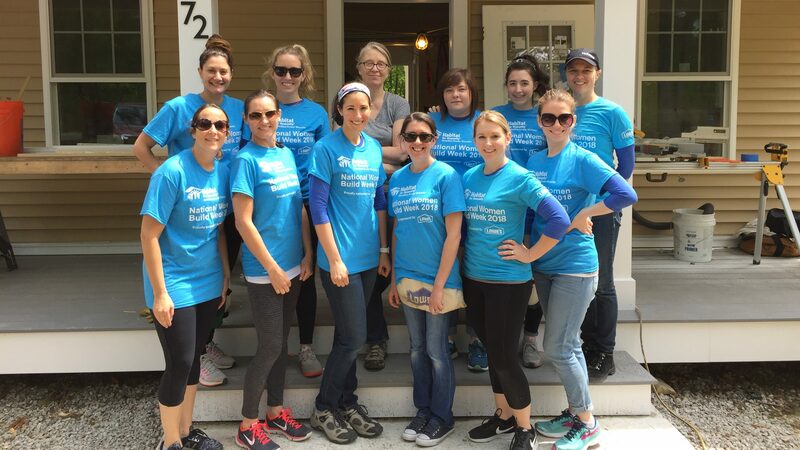 Learn about our volunteer opportunities! Sign up now to become a Habitat HopeBuilder—a monthly donor. We will put your gift each month to work right away—towards our mission to build homes, communities, and hope for local families and veterans. Learn more about our ReStores! Every purchase supports our mission to build homes, communities, and hope for local families and veterans. 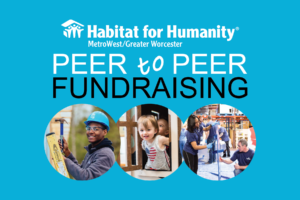 Peer to Peer Fundraising is a new way to fundraise for Build Days and Operation Playhouse. 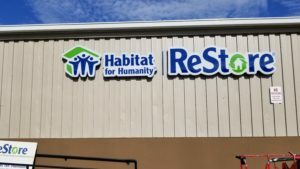 Worcester ReStore & Ashland ReStore are open!